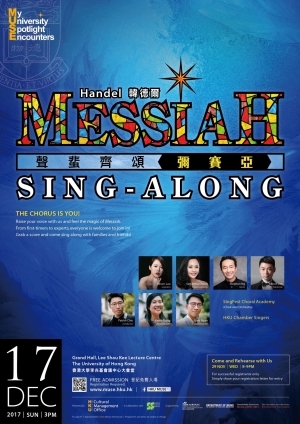 Handel’s Messiah is perhaps one of the most performed choral works in Western music history. The full cast on stage and exuberant melodies of the Hallelujah chorus, in particular, make the oratorio an all-time favourite in festivals and concerts outside church settings. 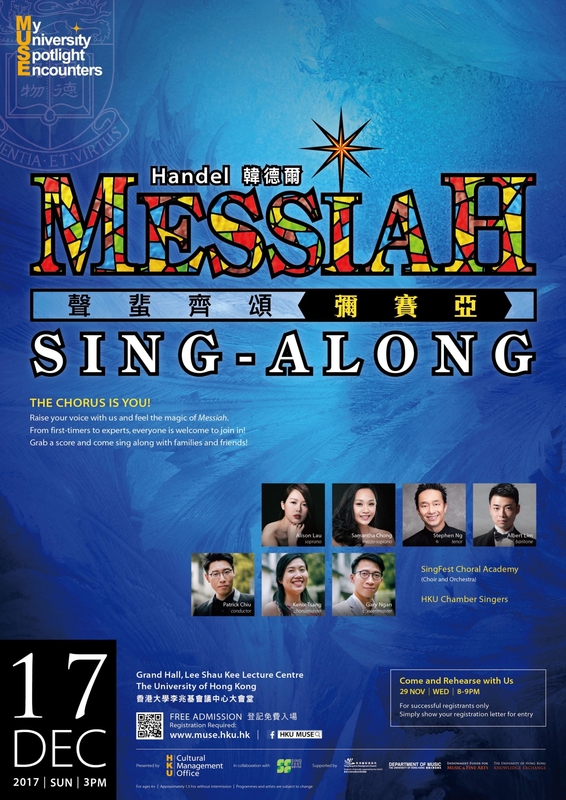 Led by guest soloists, SingFest Choral Academy, and the HKU Chamber Singers, this sing-along concert will engage everyone to take part in the chorus, contributing to the musical grandeur. Prior to the season’s greetings, let us invite YOU to co-present Handel’s immortal masterpiece and conclude the evening with a resonating Hallelujah! Raise your voice with us and feel the magic of Messiah. From first timers to experts, everyone is welcome to join in! Grab a score and come sing-along with families and friend! A limited number of scores will be available for sharing at the concert. You are strongly encouraged to download them beforehand and bring along your own copy. Thank you!